Josephine Ida Zec was was born on November 1, 2000 near Philadelphia, PA, USA but her family moved to Croatia in January 2001 when she was just 2 months old, her first 4 years were spent in Dubrovnik and since then resides in Zagreb. Currently she is attending the first Catholic elementary school in Zagreb. 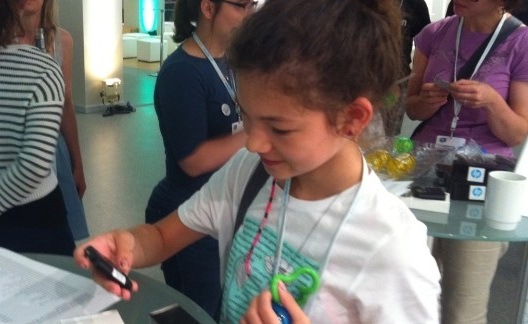 When she was aged 11 and attended 6th grade, she took part in the competition "Startup Weekend Zagreb" where she was supposed to create the idea in 60 seconds. She finished third, and it was just a start of her creative journey. The idea she presented was animal mixing iphone app which she later developed into about a book, where main hero would be an animal, made of combination of two animals. She started to work on the idea a year before, initially drawing animals for a game. 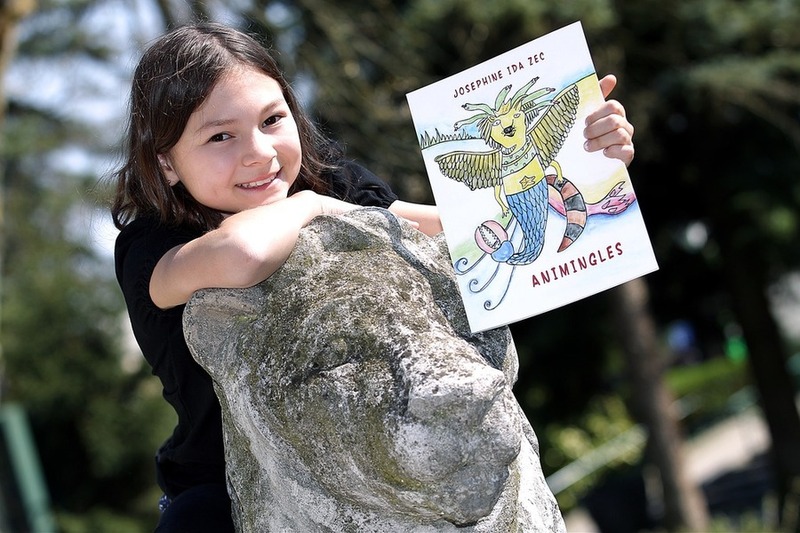 Shortly after the idea was realized - she wrote and in November 2012 published her own picture book "Animingles", the story of which took place on the planet Anipie ruled by the Aniqueen, Aurora and one of the heroes was half kangaroo and half bear. The other characters were based on online games, smart phone apps, fashion and toys. It was a fairytale, and all her friends were surprised to see writing talents of Josephine. According to the business model Josie developed with her mother Tina is that when customer buys 1 book, another goes to a hospital, school, library or children's home of their choice. The book was promoted at Interliber Book Fair in 2013 and is available in several Skolska Knjiga outlets. There are other corresponding products on sale, such as T-shirts. Here you can see her introducing her book in English. Josephine always loved computers, was interested in learning how to code and creating own apps, and runs own programming project. Last summer she won a scholarship this summer to attend a software conference in Berlin - EuroPython and participate in a Django Girls event. This event was organized to motivate women to learn about coding and Josephine was the youngest participant. On July 24,2014 in front of a crowd of hundreds, she presented her idea for a teen girl coding series she called Pyxie Dust Project and her pitch can still be viewed here. She was the main organizer and participant of the Pyxie Dust Project event held September 2014 in Zagreb, Croatia. Another interest of Josie is Vlogging (running online video blog which features her own writing, acting, directing and editing of video shorts on a variety of themes) on Youtube. As for the music, she likes to listen to pop, and classical music, which, as she says, returns her to the past, and helps while doing her homework. She is fan of Taylor Swift, because she is singer/songwriter as well as of Rihanna, she likes lasagna and Mexican food, and she loves to roller-skate. 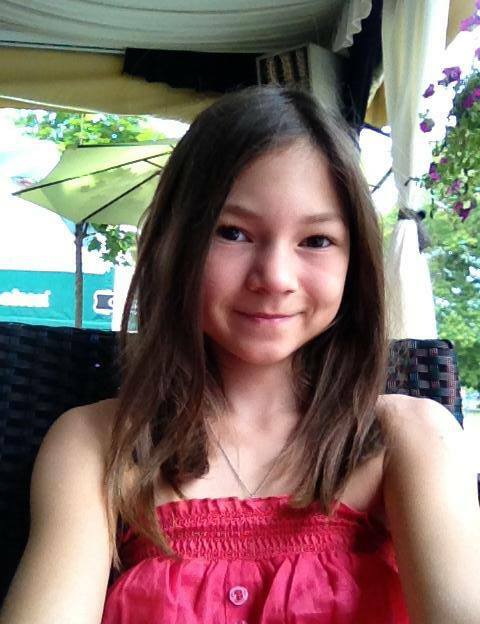 She is an excellent student, plays the violin and even starred in the drama program "Novigradsko proljece". 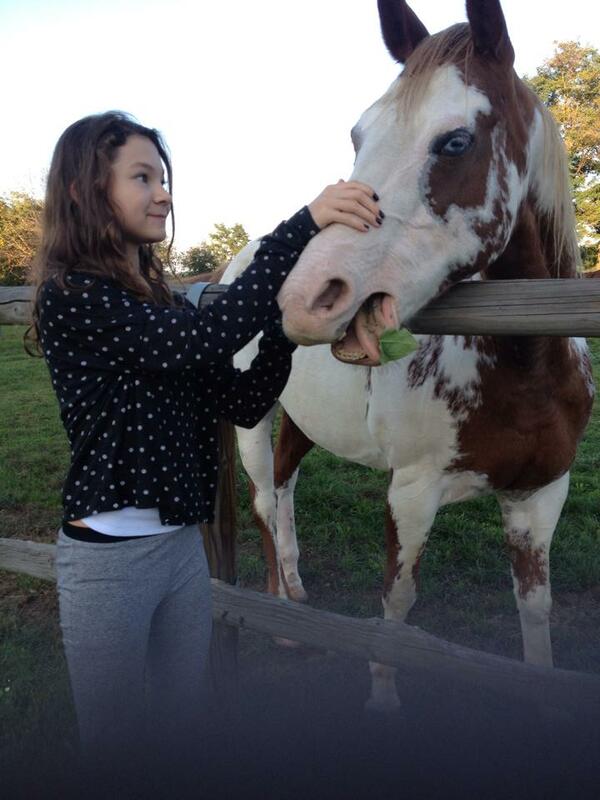 Josie is left handed and is fluent in both Croatian and English. Josie from the start had the support of family, friends and mentors to all projects she entered. Her mother Tina Lee Odinsky-Zec from NY is an American Entrepreneurship professor and her Croatian father Ivan Zec from Travnik is an Economist, she has a 4-years younger brother Darian Hrvoje Zec who offers her plenty of support and inspiration. Still she does not know what exactly she wants to do in her adult life, but will probably go either in direction of music or technology. She plans to enroll to "International Baccalaureate" program next year and hopes to get to The Juilliard School one day as well, but says it would also be fun to stay in the world of show-business which unites people with same goal. Singing and acting is Josephine's other dream. She has started music, dance and acting lessons while still in kindergarten and was taking violin classes at "Pavle Markovca" Music School in Zagreb in 2008 through 2013. She attended 1-6 grade at "O.S. Dragutina Kuslana" Primary school in Zagreb, where she was active in Drama group, participated in LiDraNo competition representing her school. She has been developing her talents as the pop and opera singer and in 2013 she started writing songs in both English and Croatian. With the Zvjezdice Choir she has performed at Vatroslav Lisinski Concert Hall (which was the venue of the 1990 Eurovision Song Contest) and HNK/Croatian National Theatre. She has also been invited to perform together with adult opera star Ivanka Boljkovac in the "Božiću u Ciboni" concert event in Zagreb. The results of her hard work seem to be remarkable, since was chosen to sing for Croatia at the Junior Eurovision Song Contest. In it, under stage name Josie, she will perform song "Game Over", which she wrote and composed herself. Most of the song will be in Croatian language, with 25% in English. Even though the originally written by Josie lyrics were in English, since it's easier for her to write lyrics in this language. "I wrote the lyrics, then done a little rewrite, and then I experimented on guitar with melodies - and so was the song "Game Over" born, it tells about the end of one love and is inspired by the real situation", explained singer. 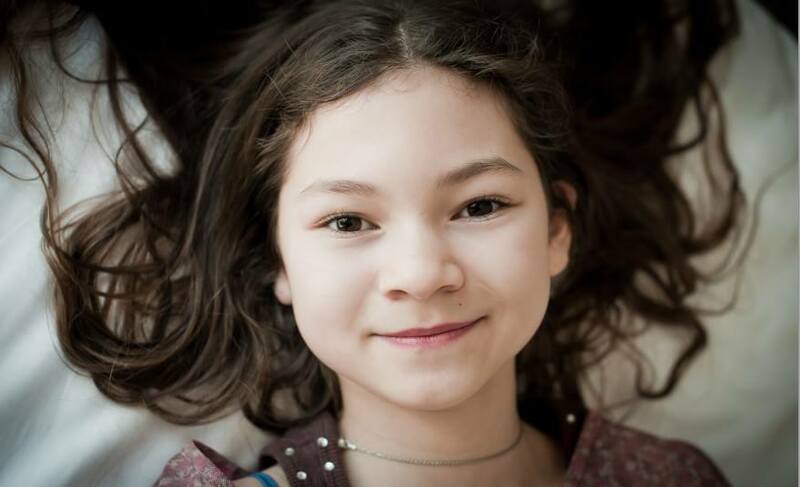 - Hi, Josie, and first of all our congratulations for being chosen Croatian representative at Junior Eurovision! 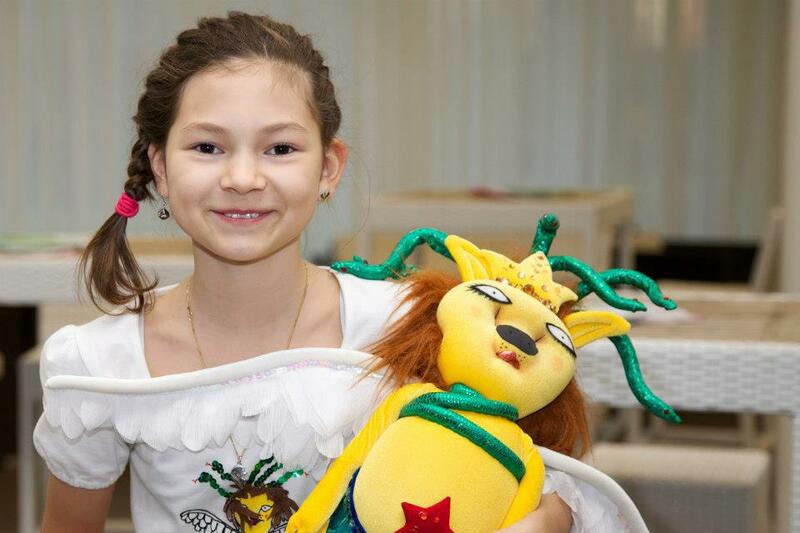 How did you learn about going to JESC and what was your first reaction to these news? - Well the first time I heard about JESC was when I was five, when my cousin Mateo Đido went to compete. When I first found out about the news I was really excited and ecstatic, I remember I was red in my face, my heart was beating really fast and I couldn't stop smiling. - Can you tell us more about your song, what is the message of it? Is your song autobiographical in some way? - My song talks about a love story that didn't end with a happily ever after. I think the best way I express myself is by writing songs. - How was it created and who has helped you in it? - It was created by my inspiration and I didn't need anybody's help with writing the song because when I write songs the lyrics and melodies flow like a river or I don't write the song at all. I wrote this one in the April. I sang it to a few people in the music industry to see their opinion and it got good feedback that it was catchy. But when I wanted to record it, I got help from some mentors who helped me prepare it in Croatian as I wrote this one in English first. In the end, during recording sessions the song evolved into the version it is with collaboration with some coaches. - You have already filmed music video for your song, what is the most memorable moment from shootings? - Have you already planned your stage act for Malta? Who is working with you as vocal coach and choreographer? Can you please introduce your backing dancers? - I have already planned the stage act with choreographer Sanja Hrgetic and the Croatian TV station team is helping me with my vocals along with Tihomir Preradovic who recorded the song and helped with its final arrangement. I have two backup dancers which are Eros and Sven. They tried out and are active in competitive hip hop dance. We are all great friends now even though we met just in October. - What are your plans of preparations for the contest? How often do you rehearse your performance? - We usually rehearsed every other day, but starting from the previous week I'm having it every day. - May be you have met any of previous Croatian Junior Eurovision entrants? Any advices received from them? - I got a really important advice from Dino Jelusic that no matter what I should just be myself and everything will be fine. - Are you interested to find out who will represent other countries in competition; will you listen to the other competing entries? - And what is your aim for the contest? - My aim is to my best and everything will happen as it has to. - Recently you have started your "Josie Everyday" vlog on Youtube. Any plans to do some video blogging from Malta? - Of course, I think it's a great idea. - You have been interested in so many different things, have you already decided on whether in future you'd like to concentrate on singing career or other fields, for example programming developer? - I don't know what I want to be yet, but I know that I am open and that I'd like to do something in my life that would help and inspire other people! - You've published very original "Animingles" book, any plans already for further publications? - Well for now I have so many things on my plate, but maybe in the future I might publish another book. - Can you tell us, how looks your basic day? What activities do you usually have? How do you spend your free time? - Well I wake up at 7:00 to get ready for school, it starts at 8:00 and ends around 14:00. But after school we work in the library on our homework until 16:00 when I return home. I am lucky to live next to my grandparents and near my other relatives. After school I either hang out with brother or my aunt and my baby cousin. Mom makes dinner and my grandpa or dad take me later at 19:30 to choir and I finish at 21:30 and I come at home around 22:00 depends on the traffic and at the end of the day finally get to sleep haha.... In my free time I hang out with my friends, study for the week, go to Church with my family, do weekly shopping with mom, dad and little brother. Of course, singing and dancing practice is on weekends too as well as performances with my choir. I squeeze in working on the computer and coming up with challenges and posts for my vlog. - What is the most difficult thing for you in preparations for the contest? - The most difficult thing for my preparations for the contest would be balancing all the demands, because school doesn't stop and it is the last school year in elementary school. The teachers are very understanding at my school, they are supportive but I am also studying hard as I maintain very good to excellent grades. I also have to perform in my choir, so I need to find time to have a pause sometimes. But at the end it is pretty good with everything that's happening. - Do you like studying in general? What are your favourite subjects? - The subjects that I love are Biology, Computers, Geography and History. - What would you call your biggest music experience so far, before Junior Eurovision? - I really don't know what I could call my biggest music experience because there are so many, eg. Last year I performed in two operas "The Shoemaker of Delft" and "Tosca" at the Croatian National Theatre (HNK), both were in foreign languages (German and Italian) and I also performed for Christmas concert in a big stadium, Cibona, in a duet with a famous Croatian opera singer, Ivanka Boljkovac. - What is your other music repertoire made of? Do you prefer to stick in your music to one genre, or you like to experiment? - I like to experiment. I enjoy opera and I love the high notes and the drama of it. You have to sing and act. My dream is to be in a movie role like Phantom of the Opera. At Zvjezdice Choir, I practice classical music and have many performances with different conductors and in different settings I also made a song with a rapper based on my book and recorded it in English too. I like to listen to both classic and pop. Pop because it is an everyday thing for me to sing and listen, while classical calms me down and helps me concentrate on my homework. - I want to be the best person I can be when I grow up and I hope this JESC experience will help me by making me stronger and thankful for all the support from my family, friends and fans. - Thanks for the interview and see you soon in Malta! 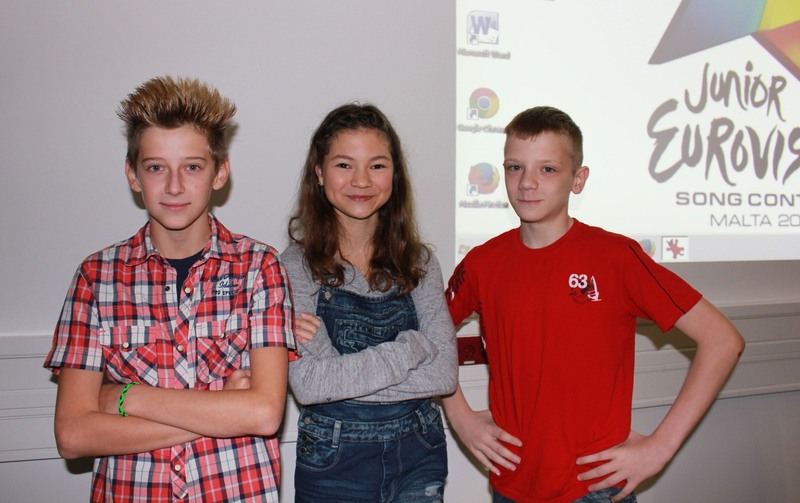 Representative of Croatia Josephine Ida Zec, her two dancers Sven and Eros, as well as the winner of the very first Junior Eurovision 2003 Dino Jelusić took part today in program of HTV2 Školski sat. Below you can see short part of the choreography that Josie and her dancers are preparing for the international final of the contest. Website JuniorEurosong.net has provided English summary of the program. Josie has mentioned some facts like her favourite flower (the rose), her favourite day (Saturday, because she can relax), her favourite genre of books (horror), her favourite colour (red) and her favourite dessert (a brownie with mint ice cream). She also mentioned that she loves 'punk' and 'cool' styles when it comes to fashion. She also talked about her book, Animingles, which is about friendship. The message of the book is that people shouldn't fight, but actually talk to each other and try to understand each side of the story. She's planning on making a smartphone app for the book, as well. Of course there was also a talk about the song Josie will sing in Malta, Game Over. She spoke about writing the song herself, having been inspired by personal experiences of her falling in love with a boy playing pool (that explains the music video). Josie says she plays violin, the guitar and is planning on learning to play the piano. She also sings in a girl choir, Zvjezdice. Singing is Josie's way of expressing herself. Even though it's tiring and it can be hard to learn a song, they always manage in the end, and this is what she loves about it. JESC 2003 winner Dino told his secret on how to handle nerves: "Don't think about the result. If you do well, that's great, but if not, it doesn't matter. What matters is to leave an impression on the audience." He also told Josie that Game Over is catchy and has everything to do well in Malta. Full version of the program can be seen here. Watch music video for Croatian entry "Game Over" by Josie. Watch also interview with Josephine and head of delegation of Croatia Aleksandar Kostadinov in Dobro jutro, Hrvatska program here. Among other things Josie has confirmed that on Maltese stage she will be joined by the same 2 dancers that are featured in video - Sven and Eros. "Recording of the music video was very exciting, it was not difficult. Sven and Eros perform their break dance moves, and I dance and sing. In one shot also appears my brother Darian, who also loves to dance and sing, and is a member of the "Zvjezdica", said Josie. She revealed that on stage in Malta she will appear in a red dress with white dots with some punk elements and Dr. Martens boots with red roses. You can have a glimpse of her dress in "Dnevnik" report, on 27:30. "I'm very excited about everything, everything is new for me, and thus interesting, I have never experienced anything like this", said Josie adding, "I feel a little nervous before going to Malta, but I think I will calm down by then. 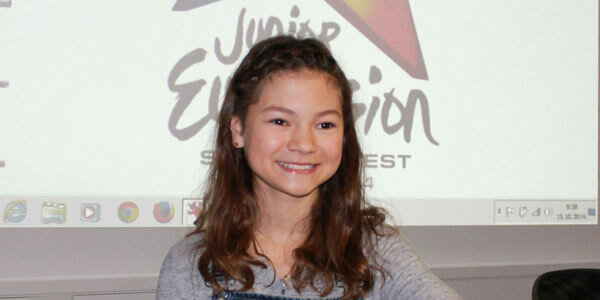 It would be nice to win, but it's great just to perform at the Junior Eurovision, it's also a great thing". 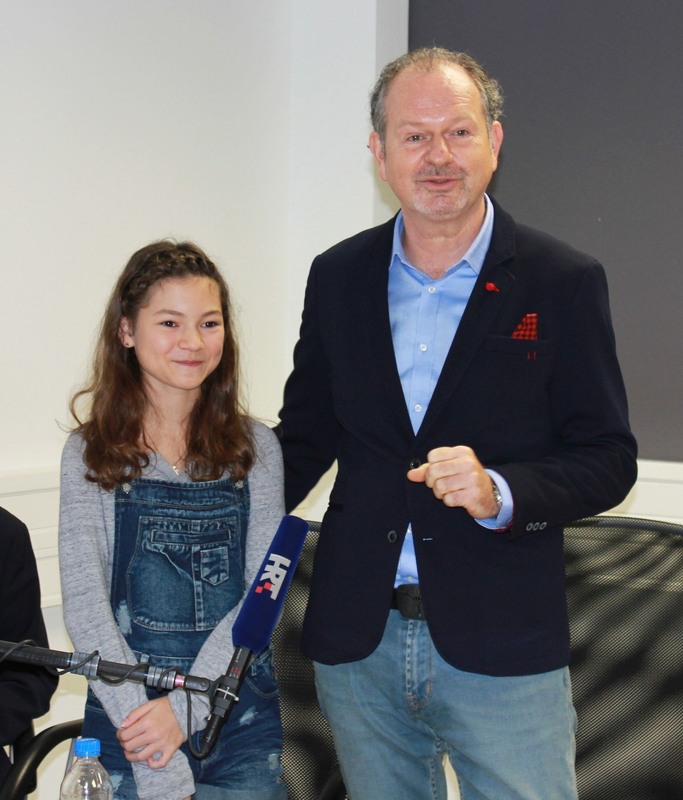 Josie has already received greetings from the first JESC winner Dino, who was also present at the press-conference. Also in the interview head of delegation has discussed possibility of organization of JESC 2015 in Croatia in case of Josie's victory. Croatian entry "Game Over" performed by Josie will be presented on special HRT press-conference on Wednesday, October 15, 10:00 CET. Josie will also appear on "Dobro jutro, Hrvatska" program on HTV1 tomorrow which airs from 6.55 to 9.25 CET, and it is possible that her entry will be broadcaster there as well (watch online). Check another HRT report on Josie from Dobro Jutro, Hrvatska program here. Live: 9.30 CET, Puni Krug (Croatia), HTV2 - presentation of Croatian entrant. "To have the first ever winners of Junior Eurovision back in the competition is a happy moment for us all. It's looking like we're going to have 16 countries taking part this year, which is a great number and I'm very happy to welcome to many countries both into and back into the Junior Eurovision family". Croatian participation in JESC will also again be supported by label "Croatia records" which even used to release (in 2003-2004) compilation albums with national preselection entries. Is the executive supervisor of Junior Eurovision hinting return of 2003 winning country Croatia to the contest? News to be confirmed shortly. I so much enjoyed my holiday in Umag this summer, and now triple happy to receive this amazing news... Hvala puno! Джозефине Ида Зец родилась 1го ноября 2000 года рядом с Филадельфией, США, но когда ей было всего 2 месяца ее семья переехала в Хорватию - первые четыре года жизни она прожила в Дубровнике и далее в Загребе. В настоящее время она занимается в первой католической средней школе Загреба. Когда ей было 11 лет и она посещала 6й класс, Джозефине приняла участие в конкурсе идей "Startup Weekend Zagreb", где было необходимо представить какую-то идею за минуту. На конкурсе она заняла третье место и это стало началом ее творческого пути. Идея, которую она представила, была о iPhone приложении, смешивающим животных, которая потом развилась до книги, где главным героем было бы животное, составленное из двух реальных животных. Она начала работать над этой идеей за год до этого, сначала просто рисуя животных ради игры. Вскоре после этого ее идея была реализована - она написала и в ноябре 2012 года издала свою собственную книгу с картинками "Animingles", история которой происходила на планете Энипай, которой управляла королева Аврора, и один из героев был помесью кенгуру с медведем. Другие герои книги были основаны на компьютерных играх, смартфон приложениях, моде и игрушках. Это была сказка, и все друзья Джози были удивлены ее писательскими талантами. Согласно бизнес-модели, которую она разработала вместе со своей мамой, когда покупатель приобретает 1 книгу, еще 1 такая же книга отправляется в больницу, библиотеку или детский дом по его усмотрению. Книга была презентована на Книжной Ярмарке Interliber в 2013 году и ее можно приобрести в ряде магазинов Skolska Knjiga. В продаже также есть и другие сопутствующие продукты, например майки с изображениями животных из книги. Здесь вы можете увидеть, как Джозефине представляет свою книгу на английском языке. Джозефине всегда любила компьютеры, интересовалась программированием и созданием собственных приложений. Прошлым летом она получила стипендию, позволившую ей этим летом принять участие в конференции по разработке компьютерных программ в Берлине - EuroPython и принять участие в проекте Django Girls. Он был организован для того, чтобы мотивировать женщин учиться программированию, и Джозефине была в нем самой юной участницей. Перед сотнями собравшихся, она произнесла речь, представив подростковый проект кодеров, который она назвала Pyxie Dust Project, и ее выступление можно увидеть здесь. В сентябре 2014 года она выступила в качестве организатора и участника мероприятия Pyxie Dust Project, прошедшего в Загребе, Хорватия. Еще одним интересом Джози является Vlogging (создание онлайн видео блога с собственными текстам, актерскими ролями, режиссурой и монтажем коротких роликов на различные темы) на сайте Youtube. Что же касается музыки, то Джози любит слушать поп-музыку и классику, которая, по ее словам, возвращает ее в прошлое и помогает делать домашнюю работу. Она - большая поклонница Тейлор Свифт, потому что она не только поет, но и пишет песни, а также Рианны, ее любимая еда - лазанья и мексиканская кухня, и она обожает кататься на роликовых коньках. Она учится в школе на отлично, играет на скрипке и даже играла роль в театральной постановке "Novigradsko proljece". Джози - левша и в совершенстве владеет хорватским и английским языками. С самого начала во всех проектах Джози поддерживают ее семья, друзья и учителя. Ее мама, Тина Ли Одински-Зец из Нью-Йорка - профессор по "Предпринимательской деятельности", а отец, Иван Зец - экономист из Хорватии. Также у нее есть младший брат Дариан Хрвойе Зец, который также поддерживает и вдохновляет ее на новые свершения. Кем девочка станет в будущем, она пока еще не решила, но думает, что скорее всего будет разивать свою карьеру дальше в областях либо музыки, либо технологии. Она хочет поступить в следующем году на программу "Международный бакалавриат" и однажды попасть в Джульярдскую школу, но считает также, что было бы хорошо остаться и в мире шоу-бизнеса, который, по ее словам, объединяет людей с общей целью. Пение и актерское мастерство всегда были еще одной мечтой Джозефине. Она начала заниматься музыкой, танцами и уроками актерского мастерства еще когда ходила в детский сад, а с 2008 по 2013 год брала уроки игры на скрипке в музыкальной школе им. Павле Марковича в Загребе. 1-6 классы она занималась в школе "Драгутина Куслана" в Загребе, где посещала театральный кружок, и принимала участие в конкурсе LiDraNo, представляя свою школу. Она активно развивала свои таланты в качестве поп и оперной певицы и в 2013 году начала писать свои песни, как на хорватском, так и на английском языках. Вместе с хором Zvjezdice она выступала на концертах в Концертном Зале им. Ватрослава Лисински (где в свое время проходило Евровидение 1990), и Национальном Театре Хорватии. Также она была приглашена выступить вместе со взрослой оперной дивой Иванкой Больковач на благотворительном концерте "Božiću u Ciboni" в Загребе. Результаты усиленных занятия Джозефин, похоже, принесли свои плоды, поскольку именно она была выбрана представлять Хорватию на Детском Евровидении. На нем она, выступая под сценическим именем Josie, исполнит песню "Game Over", к которой она сама написала музыку и текст. Согласно правилам, большая часть песни будет исполняться на хорватском языке, и 25% на английском, хотя первоначально написанный Джози текст был полностью на английском, поскольку ей легче сочинять на этом языке. "Я написала текст, потом немного переписала, потом я экспериментировала с мелодией на гитаре - и так и родилась песня "Game Over", которая рассказывает о конце одной любви и ее вдохновила одна реальная ситуация", объяснила певица. - Привет, Джози, прежде всего наши поздравления с тем, что ты стала представительницей Хорватии на Детском Евровидении! Как ты узнала о том, что ты поедешь на этот конкурс, и какова была твоя первая реакция на это известие? - Ну вообще я впервые узнала о существовании Детского Евровидения, когда мне было пять лет, и в нем принимал участие мой двоюродный брат Матео Джидо. Когда мне сообщили, что я сама поеду на конкурс, я была невероятна рада, в полном восторге, я помню, что краска залила мое лицо, мое сердце начало биться очень-очень быстро, и я не могла сдержать свою улыбку. - Расскажи нам о своей песне, каков ее месседж? Является ли она своего рода автобиографической? - Моя песня рассказывает о любовной истории, которая не имела счастливого конца. Я думаю, что я лучше всего могу выражать свои чувства при написании песен. - Как она создавалась и кто помогал тебе с этим? - Она возникла просто из моего воображения, мне не потребовалась ничья помощь при написании песни, потому что, когда я пишу песни, то их тексты и мелодии всплывают сами собой подобно реке, или я не пишу их вовсе. Эту песню я написала в апреле. Я спела ее нескольким людям из музыкальной индустрии, чтобы узнать их мнение о ней, и получила хорошие отзывы, что она довольно запоминающаяся. И, когда я уже захотела записать ее, то мне помогли мои педагоги, прежде всего с текстом песни на хорватском языке, поскольку изначально я написала ее на английском. В конце-концов во время сессий в студии звукозаписи песня, при помощи моих педагогов, приняла свой окончательный вид. - Ты сняла видеоклип на свою конкурсную песню, что на съемках тебе запомнилось больше всего? - Ты уже спланировала, каким будет твое сценическое выступление на Мальте? Кто работает с тобой в качестве педагога по вокалу и хореографа? Можешь ли ты представить нам своих танцоров. - Ды, мы вместе с хореографом Саньей Хргетич уже распланировали наш номер, телевидение Хорватии помогает мне с занятиями вокалом, я работаю с Тихомиром Прерадовичем, который записал мою песню и помог с ее окончательной аранжировкой. Со мной будут два танцора - Ерос и Свен. Они очень активно занимаются спортивным хип-хопом. Мы с ними очень подружились, несмотря на то, что впервые встретились только в октябре. - Каковы твои планы подготовки к конкурсу? Как часто ты репетируешь свое выступление? - Мы обычно репетировали через день, но с прошлой недели приступили к более усиленным тренировкам, и теперь занимаемся каждый день. - Может быть ты уже общалась с предыдущими представителями Хорватии на Детском Евровидении? Получила ли от них какие-либо советы? - Да, я получила очень важный совет от Дино Йелушича, что несмотря ни на что, я должна оставаться сама собой, и тогда все будет в порядке. - А какую ты цель сама ставишь перед собой на конкурсе? - Моя цель - показать все, на что я способна, и все произойдет так, как и должно. - Тебя интересует, кто представит другие страны на конкурсе; будешь ли ты слушать песни участников из других стран? - Недавно, ты начала вести в-лог "Josie Everyday" на Youtube. Планируешь ли ты публиковать видеодневники с Мальты? - Конечно, я думаю, что это - замечательная идея! - Ты интересуешься очень многим, решила ли ты уже, чем ты будешь заниматься в будущем? Хотела ли бы ты сконцентрироваться на музыкальной карьере, или других сферах, например программного разработчика? - Я пока не знаю точно, кем я хочу быть, но я знаю, что я открыта для всего нового, и в будущем я бы хотела заниматься чем-то, что будет помогать и вдохновлять других людей! - Ты опубликовала очень оригинальную книгу "Animingles", есть ли у тебя планы каких-то еще публикаций? - Ну, на сегодняшний день, у меня очень много разных занятий, но, может быть в будущем, я опубликую и другую книгу. - Можешь ли ты рассказать нам, как выглядит твой обычный день? Чем ты обычно занимаешься? Как ты проводишь свободное время? - Ну, я просыпаюсь в 7:00, чтобы собраться в школу. Занятия начинаются в 8:00 и заканчиваются около 14:00. Но после школы мы работаем в библиотеке над домашними заданиями примерно до 16:00, и, после этого, я возвращаюсь домой. Мне повезло, что я живу рядом с моими родственниками, бабушкой и дедушкой. После школы я гуляю с братом, или моей тетей и маленьким двоюродным братом. Мама готовит ужин, а дедушка или папа отводят потом меня к 19:30 на хор, где я заканчиваю в 21:30, и потому в зависимости от пробок я возвращаюсь домой примерно к 22:00, и в конце дня, наконец, я ложусь спать хаха.... В свободное время я отдыхаю с друзьями, готовлюсь к урокам, хожу с семьей в церковь, каждую неделю хожу с мамой, папой и маленьким братом за покупками. Конечно, в выходные дни я также занимаюсь вокалом и танцами, и выступаю со своим хором. Между всем этим я успеваю поработать на компьютере, и сделать новые съемки для моего видеоблога. - Что для тебя самое сложное в подготовке к конкурсу? - Самым сложным для меня наверное является сбалансировать все задачи, поскольку занятия в школе тоже не останавливаются, и у меня в этом году будут экзамены. Учителя в школе меня очень хорошо понимают, они поддерживают меня, но и я сама стараюсь учиться, чтобы у меня были очень хорошие или отличные оценки. Также я должна выступать с хором, поэтому мне бывает нужным иногда найти время для небольшой паузы. - Любишь ли ты вообще учиться? Какие у тебя любимые предметы? - Больше всего мне нравятся биология, информатика, география и история. - Что бы ты назвала самым большим для тебя музыкальным достижением, помимо Детского Евровидения? - Я даже не знаю, потому что их довольно много. Например, в прошлом году я пела в двух операх - "Сапожник из Делфта" и "Тоска" в Хорватском Национальном Театре, обе на иностранных языках (немецком и итальянском), и также я выступила на рождественском концерте на большом стадионе Цибона, в дуэте с известной оперной певицей Иванкой Больковач. - Из чего состоит твой музыкальный репертуар? Ты предпочитаешь придерживаться одного жанра или любишь экспериментировать? - Мне нравится экспериментировать. Я люблю петь оперу, мне нравятся высокие ноты и драматизм. Там нужно проявлять также и актерское мастерство. Моей мечтой было бы когда-то сняться в мюзикле, подобном "Призраку Оперы". В хоре Звьездице я тоже занимаюсь классической музыкой, мы выступаем на различных площадках с различными дирижерами. Я также записала песню, основанную на своей книге, вместе с рэппером, и мы выпустили также английскую версию. Слушать мне нравится и классику и поп. Поп-музыку, потому что это повседневная музыка, которую я пою и слушаю, а классика успокаивает меня и помогает мне сконцентрироваться на домашних заданиях. - И, наконец, если у тебя есть что добавить читателям, то ты можешь сделать это прямо сейчас. - Я хочу в будущем стать настолько хорошим человеком, насколько у меня это получится, и я надеюсь, что этот опыт участия в Детском Евровидении поможет мне, сделает меня сильнее. Я благодарю за поддержку всю свою семью, друзей и поклонников. - Спасибо за интервью и до скорой встречи на Мальте! Представительница Хорватии Джозефине Ида Зец, два ее танцора Свен и Ерос, а также победитель самого первого Детского Евровидения 2003 Дино приняли сегодня участие в телепрограмме Školski sat. Ниже вы можете увидеть пример той хореографии, которую Джози и ее танцоры готовят для международного финала конкурса. Вебсайт JuniorEurosong.net опубликовал короткий перевод основных моментов программы. Джози рассказала в ней некоторые факты о себе, например, что ее любимым цветком является роза, любимый день - суббота, потому что она может отдохнуть, любимый жанр книг - ужасы, любимый цвет - красный, и любимый десерт - брауни с мятным мороженым. В одежде Джози любит стилистику "панк". Она также рассказала о своей клине, Animingles, которая повествует о дружбе. Посыл книги заключается в том, что люди не должны бороться друг с другом, а должны общаться друг с другом, и пытаться понять точку зрения другого человека. Она также планирует выпустить смартфон-приложение на основе книги. Конечно же, речь зашла и о песне, которую Джози исполнит на Мальте, Game Over. Она рассказала о том, что сама написала эту композицию, а вдохновил на нее реальный опыт того, как она влюбилась в мальчика, игравшего в бильярд (что объясняет видеоклип на песню). Джози говорит, что играет на скрипке, гитаре и планирует начать учиться игре на фортепиано. Она также поет в хоре девочке Zvjezdice. Пение для Джози - это возможность выразить себя. Несмотря на то, что иногда изучить песню может быть сложным, в конце-концов ей всегда это удается, и это ей по душе. Победитель конкурса 2003 года Дино рассказал свой секрет того, как нужно бороться с нервами: "Не думай о результате. Если ты получишь хороший результат, прекрасно, если нет, то не важно. Важно прежде всего произвести впечатление на зрителей". Он считает песню Джози запоминающейся и уверен, что у нее есть все для удачного выступления на Мальте. Полную версию программы вы можете увидеть здесь. Смотрите видеоклип на песню "Game Over" представительницы Хорватии Джози. Смотрите также интервью с Джозефин и главой делегации Хорватии Александром Костадиновым в программе Dobro jutro, Hrvatska. Помимо прочего, она сообщила, что на сцене Мальты выступит с теми же двумя мальчиками-танцорами, что и в клипе - Свеном и Еросом. "Съемка видеоклипа была очень интересной, и совсем не сложной. Свен и Ерос танцевали свой брейк-данс, а я танцевала и пела. В одном из кадров также появляется и мой брат Дариан, который также любит танцевать и петь, и выступает в детской группе "Zvjezdica", рассказала Джози. Она раскрыла секрет, что на сцене в Мальте выступит в красном платье в белый горошек, а также некоторыми панк-элементами в одежде, и в обуви Dr Martens с красными розами. Вы можете взглянуть на этот наряд в репортаже программы "Dnevnnik", на 27:30. "Я необыкновенно рада всему, все это для меня в новинку и потому очень интересно, я никогда не испытывала ничего такого в жизни", говорит Джози, добавляя "Я немного нервничаю перед поездкой на Мальту, но я думаю, что к тому времени успокоюсь. Было бы хорошо победить, но также отлично и просто выступить на Детском Евровидении". Джози также уже получила приветствие от первого победителя Детского Евровидения из Хорватии - Дино, который присутствовал и на ее пресс-конференции. Также в интервью глава делегации Хорватии обсудил вероятность проведения конкурса 2015 года в случае победы Джози в этом году. Песня Хорватии "Game Over" в исполнении Джози будет представлена на специальной пресс-конференции телеканала HRT в среду 15го октября в 12:00 Москвы. Джози также примет участие в утренней программе "Dobro jutro, Hrvatska" на телеканале HTV1, которая выходит в эфир с 8.55 до 11.25 Москвы, и, возможно, ее песня также будет представлена и в этом шоу (смотреть онлайн). Еще один репортаж HRT о Джози из программы Dobro Jutro Hrvatska вы можете увидеть здесь. "Для нас всех возвращение страны, которая стала первой в истории победительницей Детского Евровидения, стало радостным событием. Похоже, что в конкурсе этого года примет участие 16 стран, что является отличным числом. Я счастлив поприветствовать множество стран присоединившихся и вернувшихся в семью Детского Евровидения". Участие Хорватии в Детском Евровидении вновь поддержит лейбл "Croatia records", который в 2003-2004 году даже издавал альбомы-сборники песен национальных отборов на конкурс. Намекает ли исполнительный супервайзер Детского Евровидения на возвращение в конкурс страны-победительницы первого конкурса в 2003 году, Хорватии? Узнаем скоро.